To drink or not to drink when it comes to your health really depends on a few important factors; including how much you imbibe and what health issues you’re concerned about. Alcohol in moderation can lower the risk of heart disease. for some people, as well as reduce the risk of type 2 diabetes and gallstones. But excessive drinking more than a drink a day for women and two drinks a day for men is also linked to several types of cancer, including breast, colon, pharynx, larynx and esophageal. Too much alcohol can also take a toll on the liver. Some studies have also suggested that moderate drinking may be good for the brain, but most of these focused on elderly people and their recent drinking habits, making it hard to draw any conclusions about the effect of lifetime drinking patterns. Before you decide whether your own drinking habits put you at increased or decreased risk of dementia, there are a couple of things to remember. First, dementia was evaluated by medical records and death certificates; variations in how people categorized dementia could affect the results. And Sabia notes that the threshold of 14 glasses of wine (about 112g of alcohol) identified in the study is lower than what some countries recommend as healthy levels of alcohol. 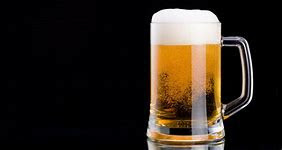 In the U.S., the standard alcoholic beverage contains about 14g of alcohol (almost twice that in the standard alcoholic drink in the U.K., for example), and the Centers for Disease Control and Prevention recommends women drink up to a drink up to a drink a day, and men consume no more than two drinks a day.